Kevin De Bruyne has suffered a knee injury in training and looks set for a period on the sidelines, Manchester City have confirmed. The Belgium international enjoyed a brilliant campaign last season, scoring eight goals and setting up another 16 as City romped to Premier League success. However, Wednesday's news will come as a blow to City and coach Pep Guardiola, who could be without the 27-year-old for a couple of months. "Kevin De Bruyne is undergoing tests on his right knee after sustaining an injury at training on Wednesday," read a brief statement from City. 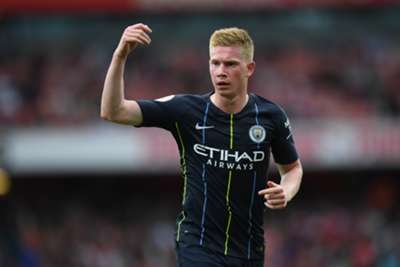 Should De Bruyne be ruled out for two months as has been reported, City will be without him for Premier League games against Huddersfield Town, Wolves, Newcastle United, Fulham, Cardiff City and Brighton and Hove Albion, plus the first couple of Champions League group stage fixtures. 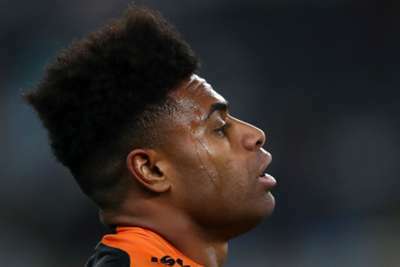 He may even miss the trip to Liverpool on October 7.